On most modern cruise lines, guests staying in certain suites receive perks that are unavailable to other passengers. However, several lines are now rolling out programs which will extend those high-end, fringe benefits to people who wouldn’t otherwise qualify – for a price. Last month, Holland America launched a program called Club Orange on several of its ships, while last week saw Royal Caribbean testing a pay-for-play option they’re calling Key Pass. While the two offerings are substantially different, what they have in common is their limited availability and – the cruise lines hope – their appeal. In the case of Holland America’s Club Orange (which has introduced aboard the Koningsdam and Nieuw Statendam, but is expected to be available fleet-wide in 2019), guests willing to pay $50 per person, per day will enjoy such perks as a private dining room, dedicated concierge hotline, enhanced in-stateroom breakfast menus, priority embarkation and disembarkation, bathrobes, and a tote bag, among other things. 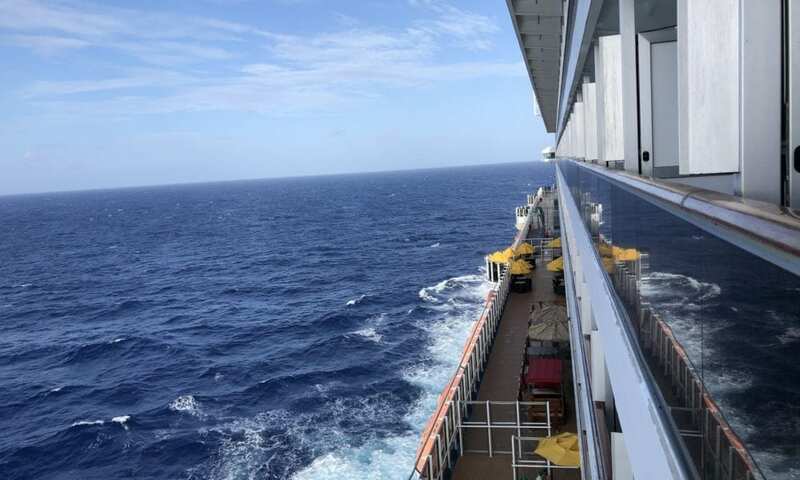 While Club Orange membership will be limited, Holland America has not said exactly how many passengers per sailing it will be made available to. Meanwhile, Royal Caribbean is currently testing their version of a pay-to-play package, known as Key Pass, onboard Liberty of the Seas and Oasis of the Seas. According to Travel Market Report, the test will run through the end of March 2019, and its availability will be capped at a hundred passengers per sailing. For $20 per person per day, Key Pass will offer purchasers a range of perks, including an embarkation day lunch at the line’s popular Chop’s Grille, internet access on one device, private house on shipboard attractions – like the FlowRider and zip line – and VIP seating. Another perk that might appeal to a whole lot of cruisers? The ability to have their carry-on luggage stored for later delivery to their cabins on embarkation day. This is not the first time cruise lines have charged for perks. Carnival Cruise Line has, for years, offered their Faster To The Fun plan. For a set price, this plan allows purchasers priority embarkation and disembarkation, a dedicated guest services line, and more. One thing we expect both cruise lines will closely monitor is how passengers who do not purchase the program react. As pointed out by Travel Market Report, people who have earned certain perks through loyalty programs, such as the Crown & Anchor Society, could resent others buying their way to privilege. Meanwhile, another group – which is free to join and has no membership cap – will also likely protest this move: the nickel-and-dime society. And they’ll no doubt point out that this is a slippery slope… because if enough cruisers are willing to pay for these perks, what next?